We are a creative company that designs and manufactures high quality bespoke furniture for both individuals and commercial clients. 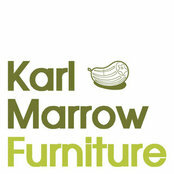 The company was established by Karl Marrow & Joanne Hargreaves in 2002. 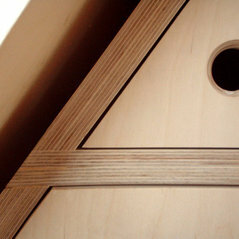 Both company founders have design backgrounds (both having studied at Central St. Martins College of Art & Design) and an extensive knowledge of furniture production techniques, materials and finishes. We offer a complete design and production package and aim to deliver a personable service to all our clients, doing our utmost to deliver good design, functionality and quality in response to their requirements. Karl and Jo took a lot of care over some lovely fitted cupboards, shelves and doors in my flat. The service was personal and they paid a lot of attention to detail.